The Straw Shop would like to introduce you to two American women who have something uniquely in common in straw art. The first woman is Sybilla Robertson Masters. A name unfamiliar to many. The date and place of her birth are unknown. It is possible her father emigrated from Bermuda in 1687. Her name first appears in New Jersey records in 1692 when she appeared in court as a witness on behalf of her father, a mariner and merchant. Of her early life nothing is known. Sometime between 1693 and 1696 she marries, a fellow Quaker named, Thomas Masters in Pennsylvania. Sybilla was an inventive spirit. Women anywhere at that time did not hold patents of any sort. She desired to patent two ideas. One for a machine to mash corn and the other pertained to hat making processes. Living in Colonial America, she had to file her patents with England. Should the patents be granted, they would be recognized in both England and the American Colonies. In 1712, the “United States of America ” did not as yet exist. She set sail from Pennsylvania to England to submit her patents. When her patent ideas were submitted to King George I for consideration they had to be submitted in her husband’s name. Surprisingly when the patents were granted, she was acknowledged as the rightful inventor by King George I. 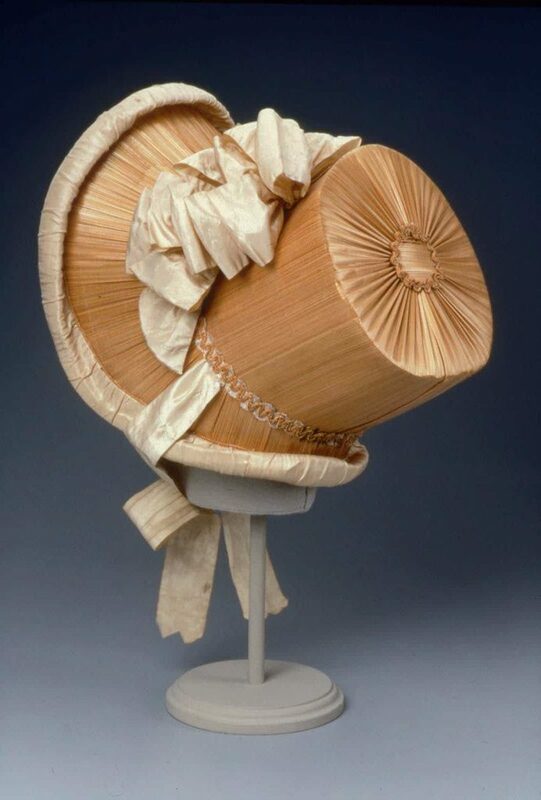 The patent was issued on February 18, 1716 and was described as being for “a new way of working and staining in straw, and the plat, and the leaf of the palmetto tree, and covering and adorning hats and bonnets in such a manner as was never before done or practiced in England or any of our plantations.” Unfortunately, neither drawing nor explanation accompanied this patent. Nonetheless the patent was issued. Having been given a monopoly on the importation of the palmetto leaf from the West Indies, Sybilla stayed in London and opened a shop. The ” West Indies Hat and Bonnet” against Catherine Street in the Strand was the shop’s address. Here, according to the London Gazette of March 18, 1716, she sold hats and bonnets at prices from one-shilling upwards, as well as “dressing and child-bed baskets, and matting made of the same West India leaf for chairs, stools, and other beautiful furniture, for the apartments of persons of quality, etc.”. She did not continue long in London. She was back in Philadelphia by May of 1716. In July in 1717 her two patents were published, and thereby officially recorded, by the provincial council of Pennsylvania. It is interesting to note Sybilla was also the first person, man or woman, to receive a patent in the American colonies by a King of England. Sybilla is presumed to have died in Philadelphia in 1720. It is not known whether her patents gave her any financial benefits. The Straw Shop did not locate an image attributed to her. What makes Sybilla interesting is that she is the first recognized female American inventor. That one of her inventions related to straw hat making specifically is particularly ironic when it comes to the next American woman to be awarded a patent years later. In 1776, 56 years after Sybilla died, Congress created an independent nation, the United States of America. The Patent Act of 1790, permitted any man or woman to apply for a United States Patent. Due to the Napoleonic Wars, the United States had embargoed all trade with France and Britain and limited the importation of European goods. Due to this political situation, domestic production and manufacturing was encouraged. Despite this opportunity for female inventors, not one woman applied. It would be 19 years after the Patent Act when Mary Dixon Kies, age 57, became the first American woman inventor to receive Letters Patent issued in her name by The United States Patent Office on May 15, 1809. 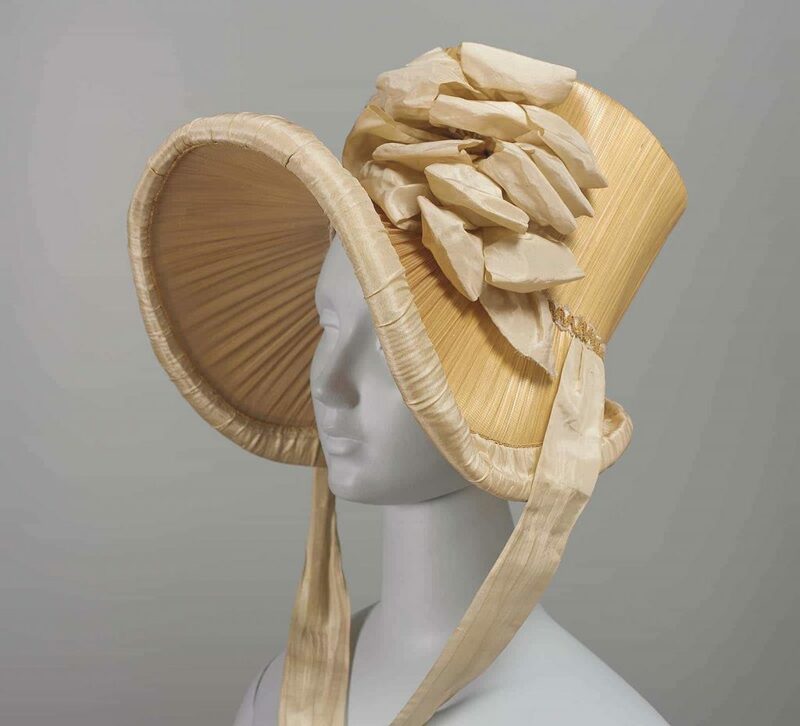 Like Sybilla Robertson nearly a century earlier, her patent also related to hat making. Due to the European goods embargo, a new source for hats and domestically manufactured goods was needed. Kies’ weaving technique used to manufacture ladies hats proved valuable in making cost-effective straw bonnets. 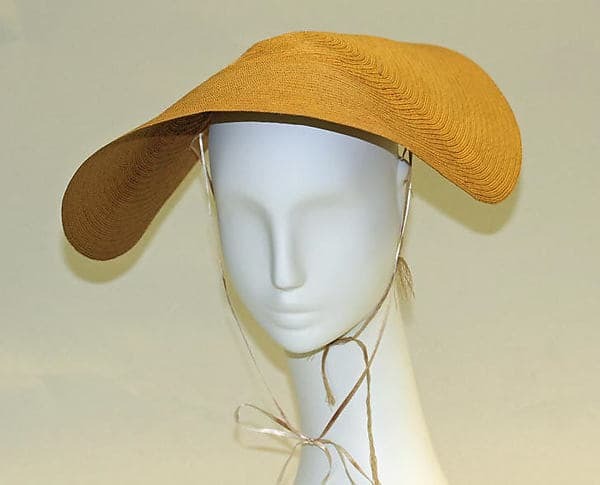 Mary Dixon Kies’ invention simplified the process of weaving straw with silk and thread, contributing to the vital straw hat industry of the early 19th century. Straw hat manufacturing was central to the economy of New England. First Lady Dolley Madison sought out and praised Kies for her contribution to industry and foreign policy. In fact the straw hat industry in New England continued to thrive despite the War of 1812. Sadly a huge fire in 1836 destroyed the records of the United States Patent Office. Only about 20 of the nearly 10,000 patents up to that time had been granted to women. Kies was unsuccessful in profiting from her invention, however, and died penniless in Brookyln in 1837, at the age of 85. Examples of hats made by either woman have not been located by The Straw Shop. 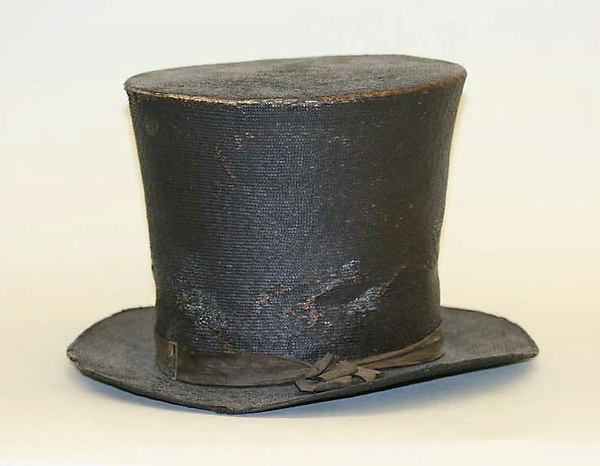 Although it is very difficult to identify hats genuinely made in America in the early 1800s, we wanted to show you some that are listed as being American from that time period. 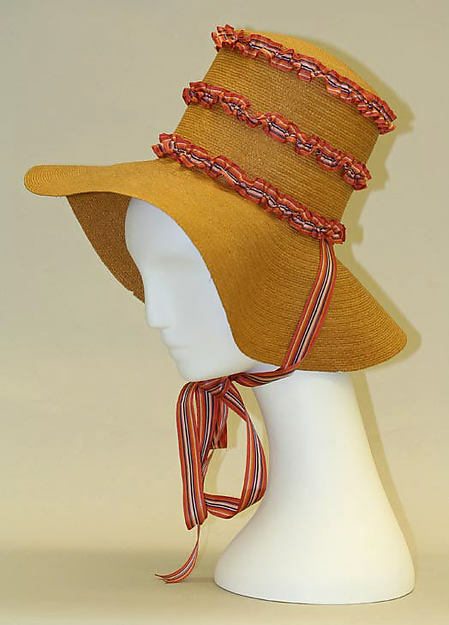 Another hat we wanted to share is from 1831 also shows the woven work quite well. In summary The Straw Shop found it interesting the first two American women to be recognized for their patented inventions were both awarded patents related to straw hat making.